Senior management is very good at establishing goals, but are much worse at clearly defining how the company will achieve those goals. Instead, staff fall back on personal experience or informal processes that have grown up within the organization. Generally speaking this approach works reasonably well. After all, people are hired for their experience and ability to deliver to their job description. However, in the case of digital things are not so straightforward. Because of the relatively new nature of digital, most organizations lack the culture and set of processes designed for digital. Also, many of those involved in the decision making relating to digital lack much experience in the field. One of the solutions adopted by many organizations to address this problem is design principles. From Silicon Valley startups like Airbnb to multinational companies like IBM, design principles are becoming adopted. 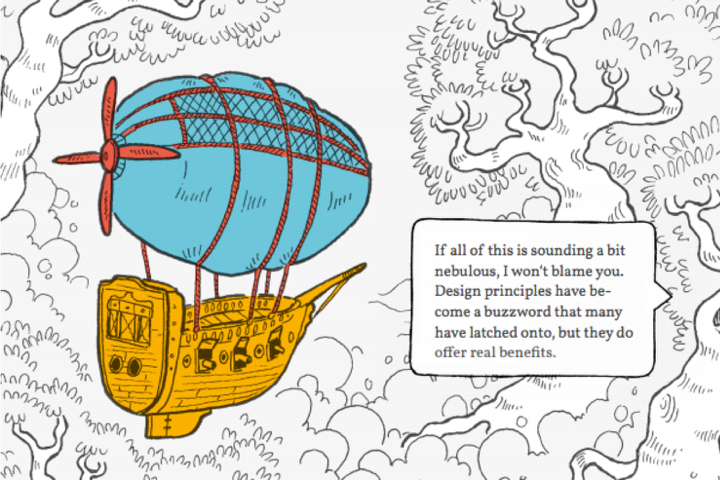 But what exactly are design principles? According to William Lidwell, Kristina Holden, and Jill Butler (authors of Universal Principles of Design):	Design principles are aimed at helping designers find ways to enhance usability, influence perception, increase appeal, teach users, and make sound design decisions during projects. Although this is true, I would argue that design principles have begun to take on an even broader role. In fact, calling them design principles might be slightly misleading. That is because these principles often provide guidance that extends well beyond most people’s mental model of design. I prefer to think of them as a set of principles for the delivery of digital services. A framework within which to operate. A structure made up of rules, guidelines, and considerations that need to be taken into account when creating digital services. Digital principles are not a definitive roadmap from A to B like you would find in a set of standard operating procedures. Instead, they work more like a compass, pointing in the right direction and providing guidance against which you can measure your decisions. For a start, design principles are a great way of educating stakeholders and ensuring that they make better decisions in the project. Better educated stakeholders lead to faster and more informed decision making. When a stakeholder makes an uninformed or damaging suggestion, you can use the design principles to realign their thinking without it turning into a confrontation. For example, imagine that a stakeholder wants to add additional fields to a form that users must complete during signup. Fields that exist only to give the company demographic information on users. Instead of getting into an argument about the merits or otherwise of the idea, you can refer back to the design principles you established at the start of the project. 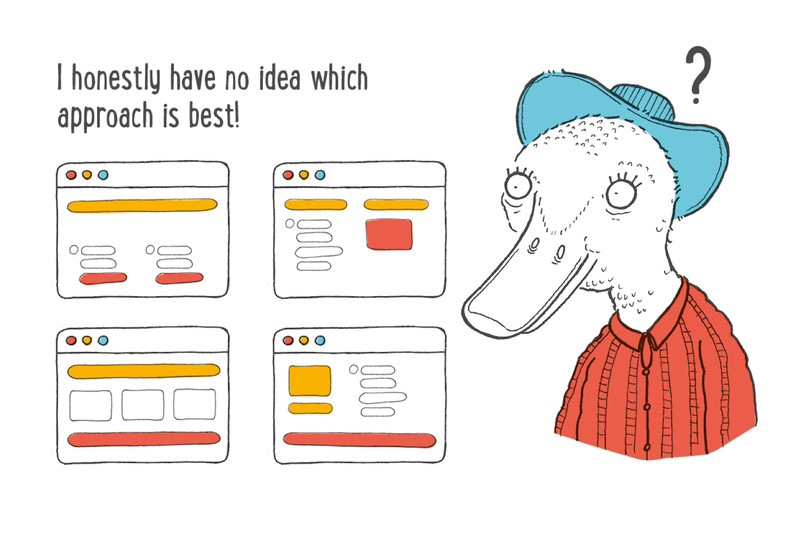 Policies such as “always put the user‘s needs first” or “make the tough calls to keep things simple”. By referring to the design principles agreed early on you are not criticizing the idea, you are just saying it does not fit with how everybody has decided to approach the project. It is about implementing the agreed principles, not about rejecting somebody’s idea. That approach is even more useful when there are two opposing ideas, as design principles can even be used to break the deadlock. In short, design principles can reduce time wasted on disagreements over approach. But, they can also lead to faster and better decision making. Digital projects can feel overwhelming at times. Part of the problem is that there are so many different approaches that you could take, so many ways of achieving the desired goals or overcoming challenges. That makes digital projects especially tricky in the early days when you are trying to establish the right direction. Making a mistake at this stage can mean many wasted hours further down the line. Traditionally this is where a specification would come in. But, creating a specification is time-consuming and often not particularly well informed. On the other hand, a set of design principles provide enough of a framework to help ensure the project moves in the right direction from day one. 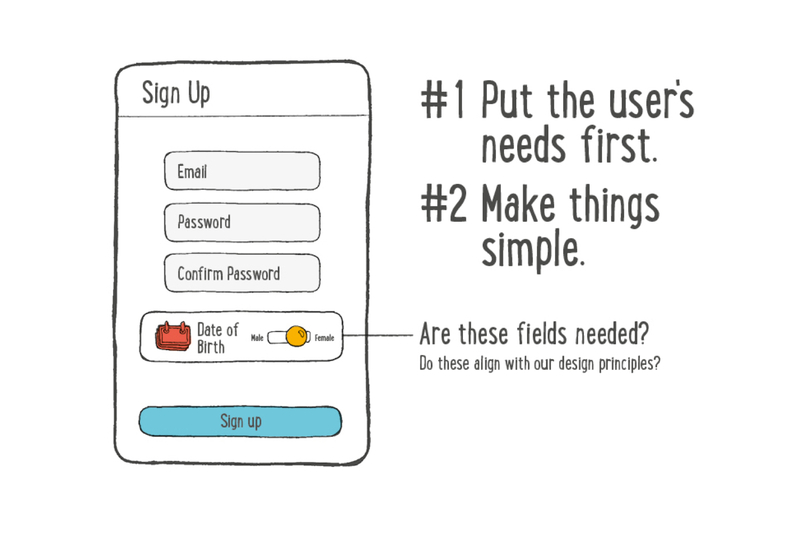 But design principles don’t just help with decision making at the start of a project. They are also invaluable in the midst of a project when we start to lose our way. Working without a detailed specification and continually adjusting based on user feedback can be disorientating sometimes. You can feel lost in the myriad of possibilities and be overwhelmed by the amount of data. But, design principles don’t just point you in the right direction. Used well; they can help to realign the entire company. Your ability to deliver digital projects efficiently is going to be constrained by the broader business. Your digital team could work in the most efficient way possible, but if the rest of the company isn’t approaching things in the same way, it will limit what is possible. Unfortunately, this problem is all too common. 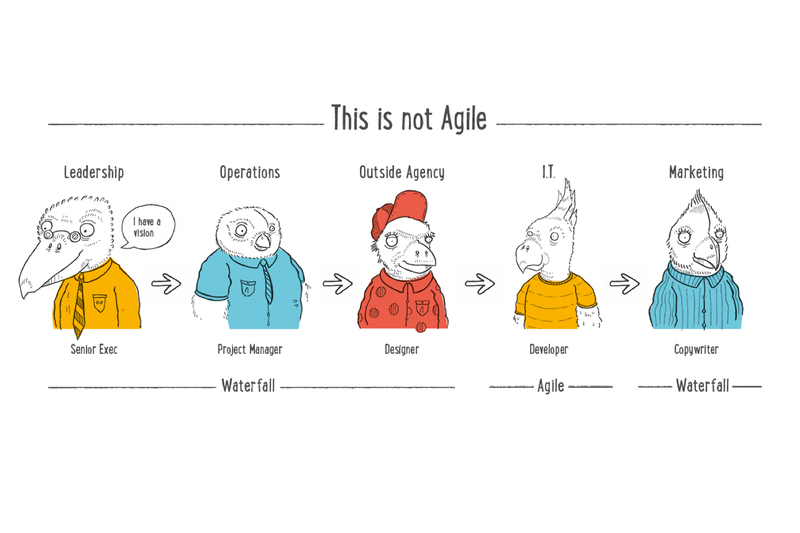 I often encounter digital teams who proudly tell me that they work in an agile way, yet in truth, they do not. Although their team has adopted some aspects of agile, they are trapped in a departmental production line. Because digital projects require so many different parts of the organization to work together, you can only really achieve digital efficiency when the entire organization‘s culture starts to shift. Cultural change is hard, and no one approach is going to make it a reality. But design principles do have the potential to contribute. The Government Digital Service in the UK used their design principles as a critical component in a government-wide education program. They turned them into posters, included them in their service manual and referred to them often in meetings. Design principles can become mantras that start to influence thinking. Almost like an earworm or meme, if you repeat them enough, they become embedded in an organization‘s collective mindset. In fact, the very act of including people from across the organization in their creation encourages people to consider new ways of thinking and working. That brings us on to the question of how you should establish your design principles, which you can read about in part two, linked below.